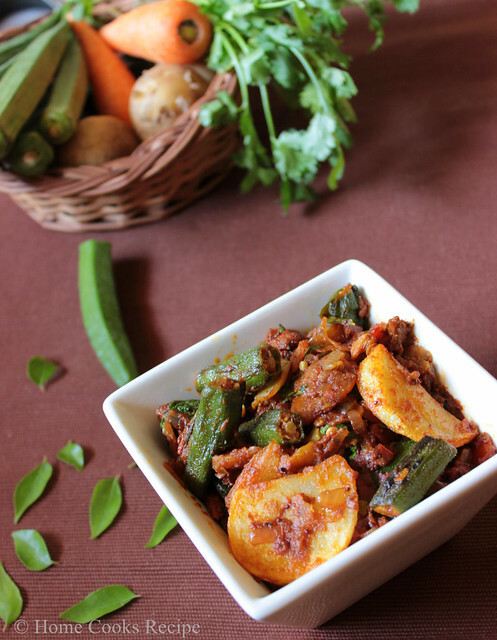 Bhindi is favourite vegetable at home, i prepare sabzi with it quite often. 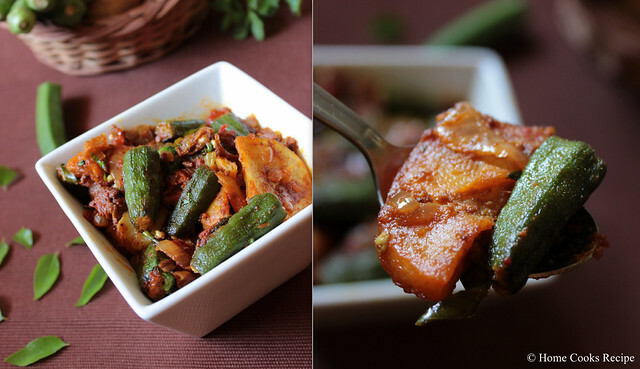 This aloo bhindi sabzi from tasty indian recipes caught my eye and i prepared it today. Both the vegetables made a great combination. sabzi turned out tasty. 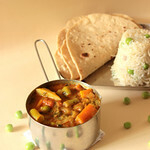 This sabzi can be served with chapathi's or phulkha's or with jeera rice, peas pulao etc. Iam yet to make phulkha's for dinner to serve with this sabzi!! Peel the skin of the potatoes and wash them clean, slice them into a medium thick pieces. also trim the head and tail of bhindi and cut them into two or three pieces. Heat 2 tbsp oil in a pan and fry the potatoes first, till they are cooked. it takes about 3-4 minutes at high flame. once the potatoes are fried remove from oil and put it on kitchen tissue, so that tissue absorbs the oil. Then fry in the bhindi pieces. it may take 2-3 minutes in medium flame to get fried. Chop the Onions, tomatoes, ginger and green chillies very finely. Heat a tbsp of oil in a pan, add mustard and let it pop, then add cumin, green chillies and ginger. saute them for a few seconds and add in the finely chopped onion. once the onions turn translucent, add in the finely chopped tomatoes and saute them well. add salt and turmeric powder and mix well. in medium flame, let the tomatoes get mushy and mix well with the onions. Then add the red chilli powder, corriander powder, cumin powder and garam masala to the pan and mix well with the onions and tomato mix. 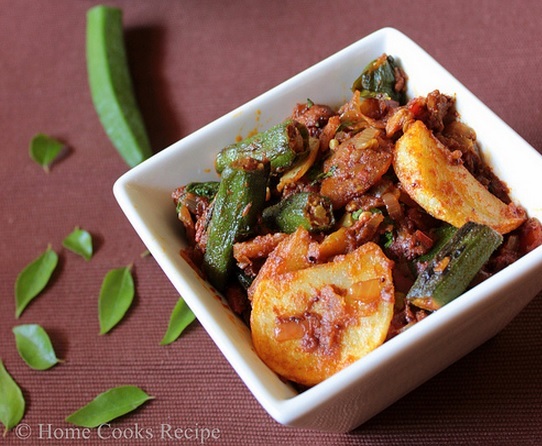 once the masala and onions mix well and come together add in the fried aloo and bhindi to the pan and give a mix. add amchur powder or lemon juice and mix well. 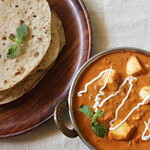 sprinkle a tsp of water to the pan and scrap the masala's sticking to the bottom of the pan. then remove the sabzi to the serving bowl. Garnish with finely chopped corriander leaves. 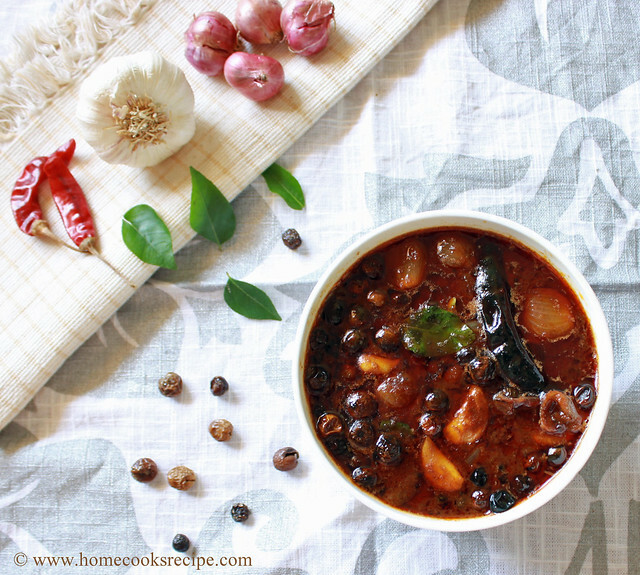 Best served with chapathi, roti or with jeera rice, veg pulao. You can steam the potatoes than frying. also microwave the bhindi with a tsp of oil in microwave at very high mode for about 4-5 minutes. this way you can avoid frying the vegetables. aloo and bhindi is a nice combination. i too make in a similar way. mouth watering and delicious combo. 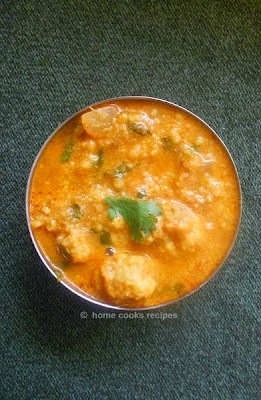 It is my pleasure to invite you to be a guest writer in Archana's Kitchen (www.archanaskitchen.com). As a guest writer you can write vegetarian recipes that you passionately cook in your kitchen and since you own a blog, the recipe will link back to your blog, generating more traffic to your blog as well. Looking forward to hear from you. Apologies for writing in the comments section, as I did not find a contact me page. That's a very tempting click, Lavi.